You don’t often hear a set of long underwear or long sleeve wool shirt listed as part of your life-saving gear list. But when it comes to technical base layers, a crucial part of your outdoor adventure kit, they most certainly are. It’s safe to say that a nice, thick base layer is going to be warmer but less breathable than a thin, waffly, translucent one. But it also depends on how hot you personally run. 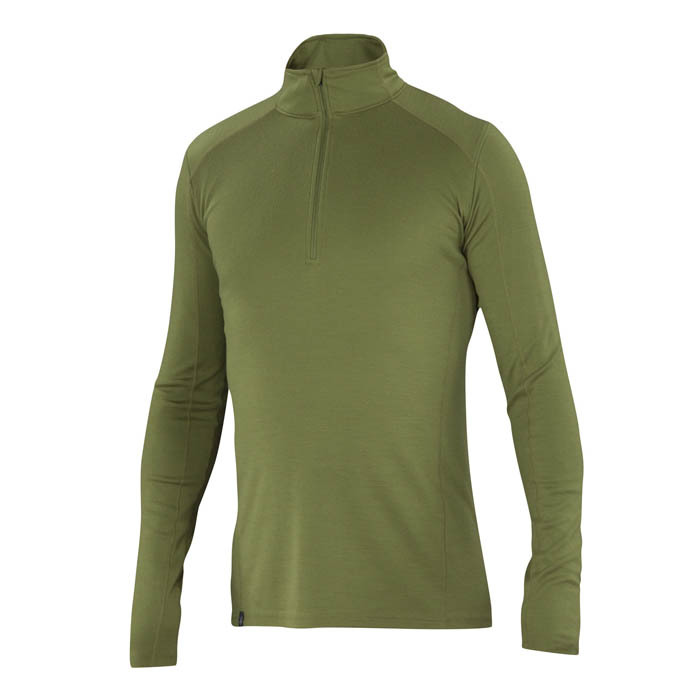 Wicking and breathability are the key buzzwords for any contemporary base layer. The idea is to move moisture away from the body, so it’s essential to also layer with equally breathable/wicking fabrics and technologies for colder activities. Or strip away all those extra layers and you’ve got a shoulder season piece, perfect for short trail runs on breezy fall days. Before you drop your hard-earned coin on a new high-end piece that you’ll snuggle up in through chilly winter months, have a look at the base layer tops we’ve selected, all designed to perform both in motion and at rest – reflecting the start-stop nature of today’s activities. Royal Robbins is the classic adventure travel brand that makes you feel just a little bit more grown up. They are making a renewed push into the performance world with the new MerinoLux Go Everywhere quarter-zip base layer ($70); and they’re working the blended angle in a big way. The Go Everywhere is Merino wool blended with the environmentally friendly Sorona brand fibers, a renewably sourced biopolymer, lending a soft hand and added durability to the tried and true fine wool. 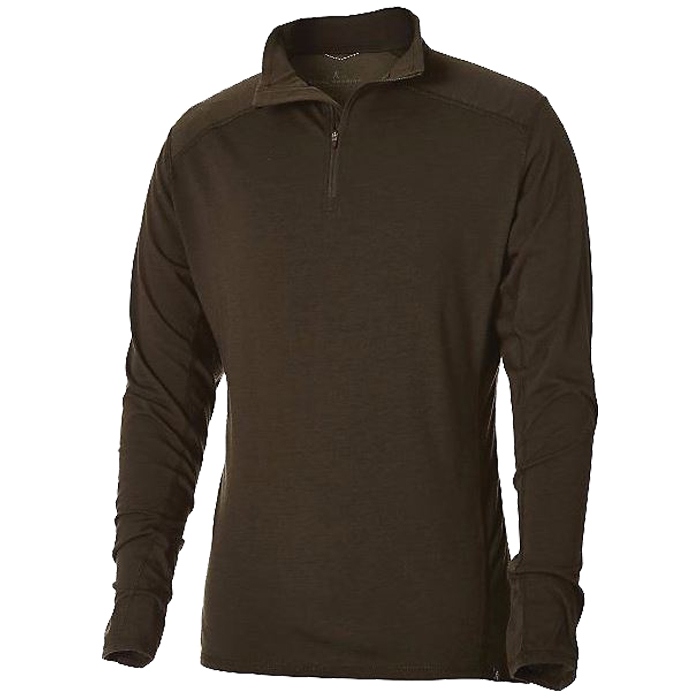 This men’s wool shirt is lightweight, wrinkle-resistant like so many of Royal’s other products, and features UPF 50 protection. Like all wool next-to-skin garments, it’s naturally temperature regulating, odor resistant and dries quickly both on and off the body. It’s also available in a crew. The popular Euro brand Rab is always a favorite of our mountain-oriented customers and field testers, and it’s great to be able to now find the iconic brand in North America. Its new base layer collection features Merino+ and Dryflo technologies to combine the benefits of natural and synthetic fibers with the goal to better regulate temperature, moisture, and therefore comfort. The Merino+ fabric combines merino wool with the moisture-release performance of reinvigorated 37.5 fiber technology – an embedded natural element that speeds the wicking process. Wool is blended with polyester to add stretch and durability. Pieces utilizing Dryflo give users the synthetic base layer experience, which, combined with 37.5, may feel more traditional to some who just can’t comprehend using wool in the summertime. Rab wool base layers are available in two weights: a lighter 120 and a slightly heavier, thicker, warmer 160-weight weave. Subtle striped interlock fabric and flatlock seams provide finishing touches on this high-end tech base layer. If you haven’t tried Duckworth yet, and you’re really into high quality, mission-driven apparel, then you owe it to yourself to kick down for at least one piece from their line of natural wool base layers. The new Vapor Wool Henley is a traditional, trendy button-up wool shirt made with the brand’s high-performance “Vapor Wool” fabric – a proprietary ultralight, fast drying, heathered fabric in a tri-blend. It’s really one of the most stylish and versatile of the bunch, and of course boasts all of wool’s natural performance properties, including natural stretching properties without adding lycra, as some brands do. The wool is 100 percent grown in Montana on the Helle ranch, and the custom yarn is knit and sewn entirely in the USA. 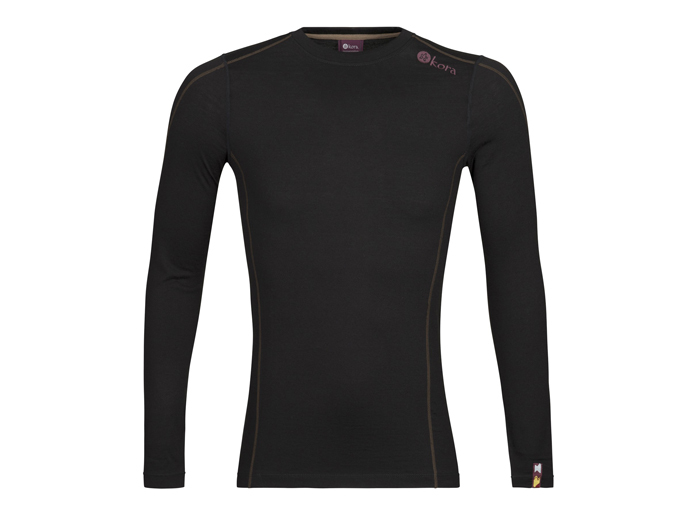 Kora Shola base layers are made from 100 percent yak wool while maintaining a soft feel and a bit of stretch. Yak wool fibers are hollow, trapping air and providing a high warmth-to-weight ratio. 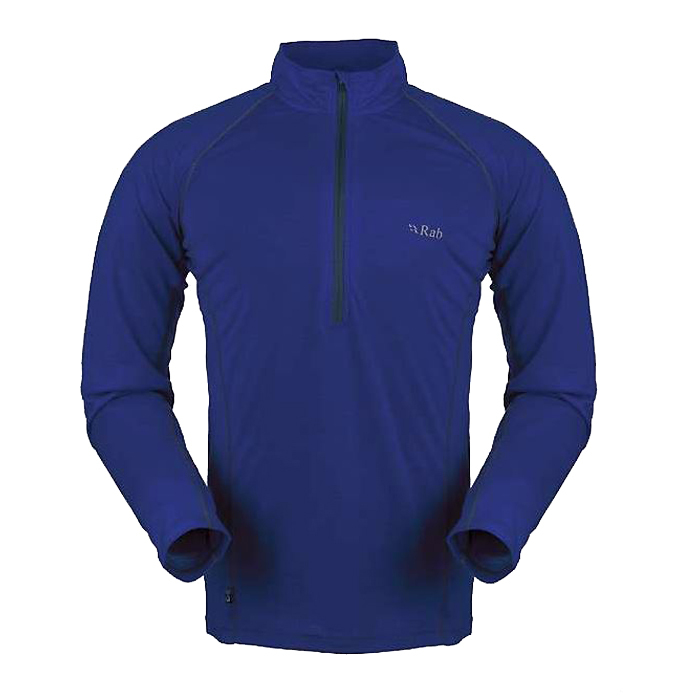 And like Merino, yak wool wicks moisture away from the skin and is naturally anti-microbial. Kora founder Michael Kleinwort said the material outperformed Merino in independent laboratory testing, boasting 40 percent more warmth, 66 percent greater air permeability, and 17 percent greater water vapor permeability than merino wool fabrics. Our testers found the material to be extremely durable through both wear and washings, without pilling. In addition to performance that rivals Merino, Kora and its yak wool apparel is sustainable, with no corporate farming, no shearing or harming of animals, and a boutique approach to distribution. Kora works with the Kegawa Herders Cooperative, a group of about 80 families on the Himalayan Plateau, and buys their wool at a set price each season to provide the herding families a more reliable and consistent income. The new Shola crew is made from Kora’s Hima-Layer 230 Original fabric. They say it adapts to the body’s needs and is effective for warmth in cold weather, but also keeps you cool during high-output activity. It’s a luxurious piece equally at home on the mountain and in town. The new HH Dry Performance crew from Helly Hanson has that classic fitted look and recognizable striped styling from one of the best performing brands of all time. This new collection for fall features a modern design with the brand’s HH Dry construction and its Lifa “stay dry” technology. 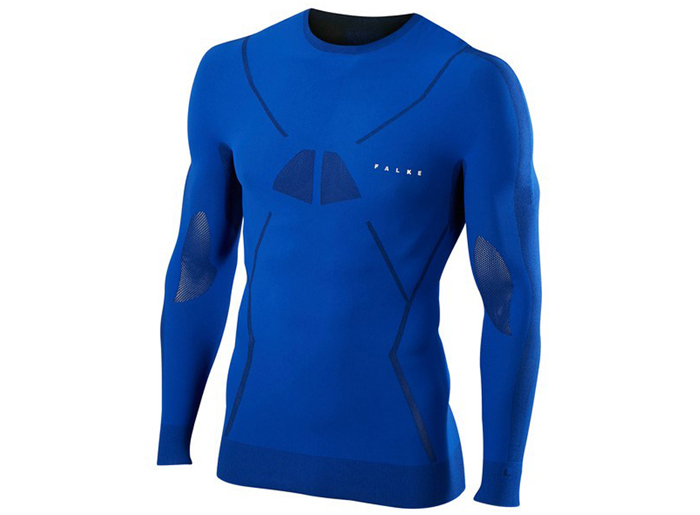 We like the HH breathable and lightweight performance base layers made from 100-percent polypropylene in short and long sleeve, but this long sleeve model is key for cold weather activities including skiing, alpine hiking, climbing, sailing (where the brand’s roots are), as well as cross training. This piece is as good looking as are functional, and that’s saying something. It’s got the not-unusual flat lock stitching and low bulk cuffs that wear well under other layers. Helly Hansen is also known for its fitted, high-performance style that will take you all the way to après. Ladies (and smart guys shopping for their gals), take note of the new HH Warm Freeze half-zip. It’s made from 57-percent Merino wool mixed with Lifa poly-based synthetic and is available in stylish new colorways and patterns. 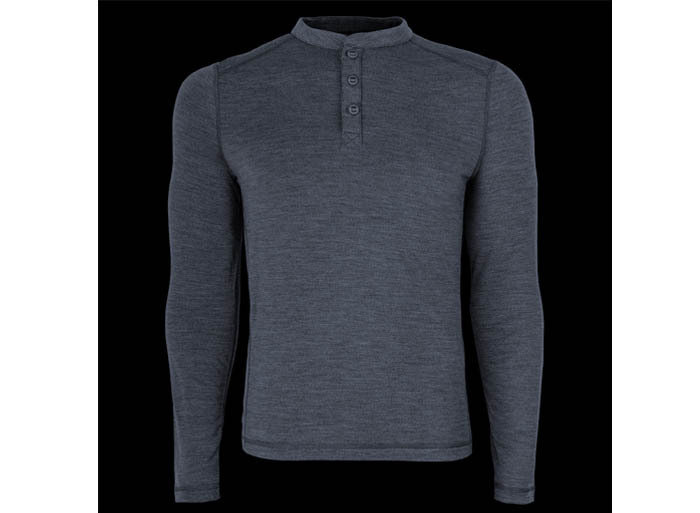 Another one of our favorite Euro brands, the new Falke Long Sleeve Shirt is more than your usual base layer. 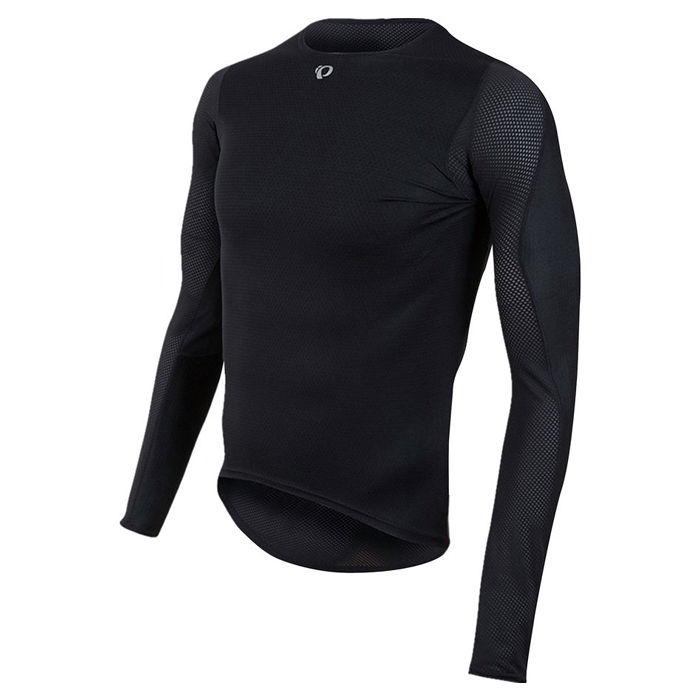 It’s a long-sleeved performance base layer in a body-hugging fit designed to keep athletes warm and dry during activity. Therefore, this is not a casual-wearing piece. Flexible zones at the shoulders and elbows allow for maximum freedom of movement, while ventilation zones in the armpits promote faster drying. Falke base layers are primarily made with 70% polyamide, 25% polyester, and 5% elastane, an ideal combination for action sports in cold climates. Ibex was one of the original brands to go all-in with Merino wool when the rest of the outdoor industry was still trying to figure it out. Therefore we tend to put a lot of stock in the quality of their materials and craftsmanship, even if it’s not always the typical outdoor bro look. The Woolies 1 collection is made with 100-percent renewable Merino wool for all-day comfort. Woolies 1 crew and zip neck tops, as well as the super comfy briefs and bottoms, are made from 18.5-micron Merino wool yarn in a ribbed knit construction. It’s extremely breathable with a performance-oriented fit and stretch, as well as good recovery. Ibex also touts the odor-resistant nature of 100-percent wool construction. These pieces are fitted superbly and feel amazing next to skin; and in our testing their durability was fool proof, in part due to the high quality of the Merino wool Ibex uses. The rib knit construction and stylish stripes help set Ibex apart from the herd. The waistband on the briefs and bottoms is seamless and doesn’t rub or interfere. 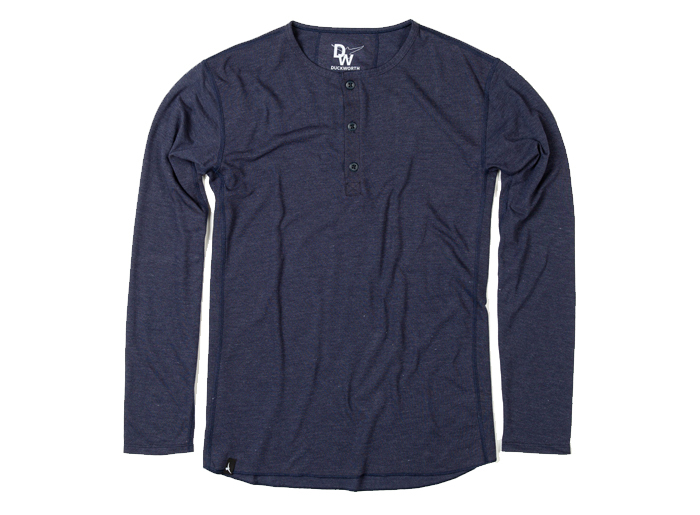 The details and upscale styling of this long sleeve wool shirt will have you falling in love with this sleeper brand. Triple Aught Design makes base layers in both wool and synthetics to the highest standards of performance, good looks and survival-grade outdoor gear. The Merino collection is made to be comfortable next-to-skin and focuses on performance as part of a layering system. As we’ve seen with other brands, wool is odor resistant and regulates body temperature by trapping heat for insulation while maintaining breathability. 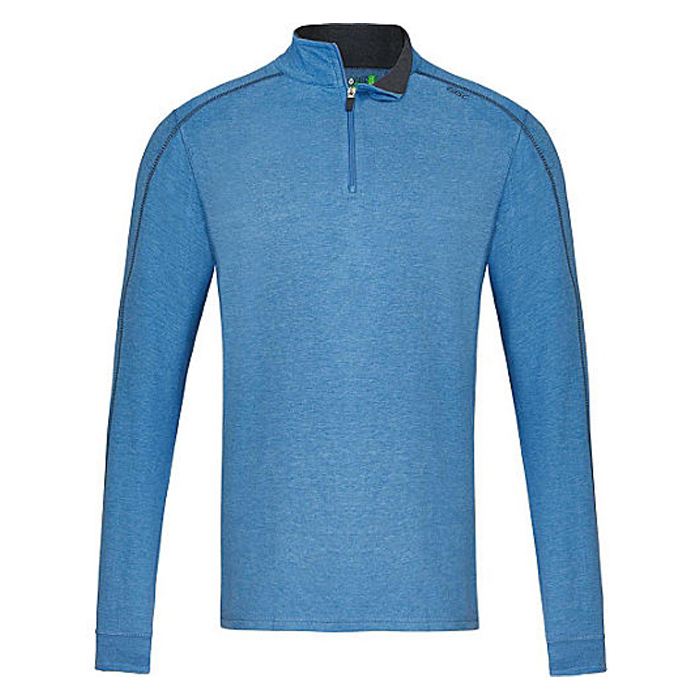 Merino also wicks moisture away from the skin to reduce cold chills, and will insulate when wet, unlike cotton. The Huntsman Henley is a tester favorite with its MAPP (Merino Advanced Performance Program) New Zealand Merino wool material to ensure it is created exclusively with Merino fibers sourced from the cleanest and purest alpine environments, cut and sewn in the U.S. Like our friends at Royal Robbins, it makes a great travel piece yet also performs in real-life situations in an adaptable and classic style. Flatlock seams aid in comfort while single-panel underarm construction lends an uninhibited range of motion. With headquartered in Southwest Colorado, Voormi is one of the world’s most advanced knitters of performance Merino-based fabrics, with all sourcing and manufacturing taking place in the United States. With numerous textile breakthroughs, patents, and national awards, Voormi products include distinctive base layers, mid-layers, outerwear, and lifestyle mountain apparel designed for real-life backcountry adventure and elevated mountain living. And now, its new Dual Surface Ultralight Merino base layers are being engineered as the lightest performance next-to-skin Merino in the outdoor market, at 100 g/m2. 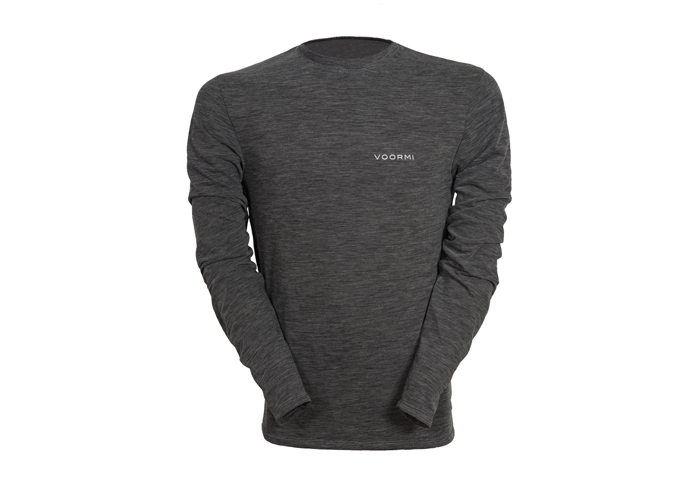 The Voormi Long Sleeve Tech-Tee is made from the new, air-permeable Dual Surface UL blended wool in a relaxed fit. Voormi is touting the piece as a year-round wardrobe staple that keeps users cool in the summer and warm and dry in the winter. And our testers found this to be true over the course of several months this fall. 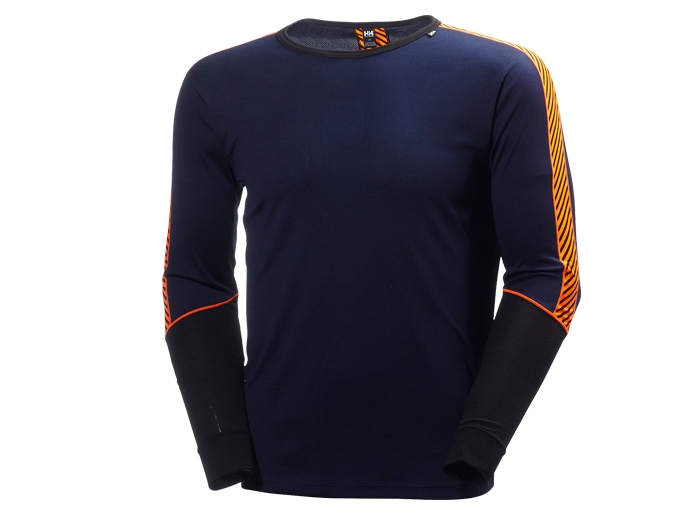 The long-sleeve version is naturally UV protective, naturally anti-microbial, and moves moisture away from the core. Like all Voormi products, it’s made from Rocky Mountain Highcountry Merino Wool right here in the U.S., part of the growing all season collection by Voormi – and we recommend you try to find one before they’re gone. New from New Orleans-based Tasc, the new Men's Core 1/4 Zip (we like it in Heathered Blue) is a highly versatile mid-layer that transitions comfortably through almost any activity, no matter the weather outside. Tasc may be a small player, but their ability to create great base layers worn by some of the top mountain athletes in the world is understated. The contrast inner collar band and sleeve cuffs add the perfect amount of color. Like Merino, bamboo is moisture wicking, anti-odoriferous, breathable, comfortable, and boasts natural UPF 50+ protection. The Core 1/4 ZIp top features a relaxed fit, a lock down zipper with garage, contrasting sleeve seams, and is made from Tasc’s MOSOtech fabric: 51% organic cotton; 41% viscose from bamboo; and 8% lycra. Give this natural-fiber brand a try.